Each and every creator of a Nokia Lumia concept phone tries to focus on the camera and keeping a part of the Lumia legacy. However, none of them actually tried to make an ultraslim device. Well, designer Marcellus did and what came out was the Nokia Lumia X Windows Phone concept shown below. 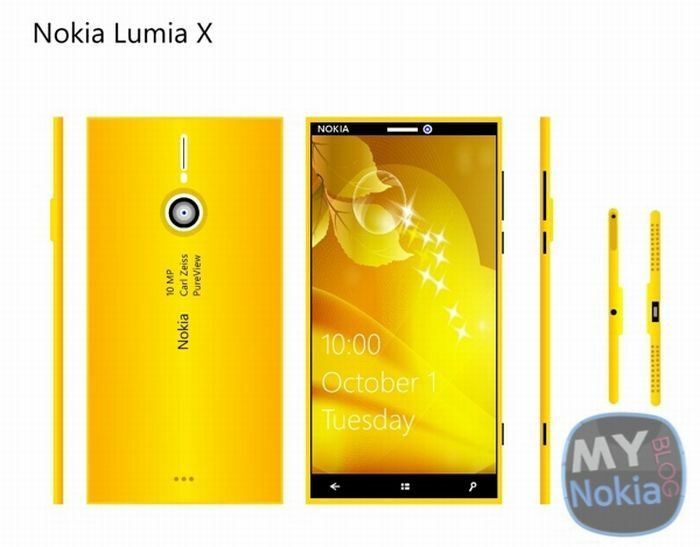 The designer claims that this model is kind of unrealistic, seeing how bulky Lumias are, but one can dream, right? The Nokia Lumia X handset comes with an 8 mm thick chassis and it reaches 8.7 mm in thickness with the camera bump included. It weighs 140 grams and uses 2 GB of RAM, 32/64 GB of storage and a microSD card slot with support for an extra 64 GB. The display is a 5 inch Full HD unit with PureMotion technology and Gorilla Glass 3 tech. The battery is non removable and has a capacity of 3000 mAh. There’s also Qi wireless charging and I imagine that since the battery is non removable, the microSD must be placed on the side or something. The camera of the Nokia Lumia X is a 10 megapixel Pureview unit with Carl Zeiss lens, OIS, dual LED flash and Xenon flash too, plus a 2.5 MP front shooter with Full HD video capture.